Marc Leishman followed his opening round 62 with a 64 and stands at 16-under 126 at the BMW Championship. Marc Leishman has a short memory when it comes to golf, which only helped him at the BMW Championship in Lake Forest, Ill. He was nearly just as good Friday with a 7-under-par 64 to open a three-shot lead over Jason Day and Rickie Fowler going into the weekend at Conway Farms. 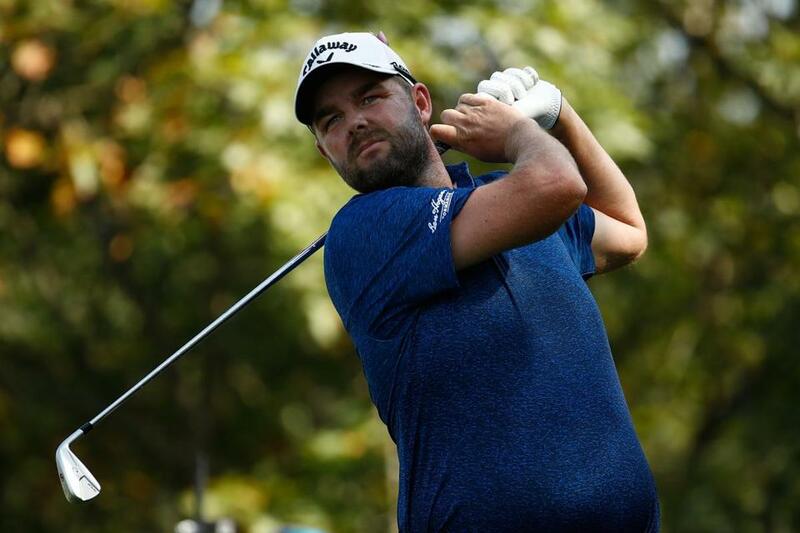 Leishman was at 16-under 126, two short of the 36-hole record Day set at Conway Farms two years ago on his way to a wire-to-wire, six-shot victory. Leishman has some experience with that, but it was long ago and the memory is vague, naturally. He recalls opening with a 70 at the Toyota Southern Classic on the Von Nida Tour in Australia and winning big. LPGA — A new day, a fresh start to the final women’s major of the season, and it seemed like a new Sung Hyun Park showed up. Seizing a second chance to play the first round at the Evian Championship, Park fired an 8-under 63 to grab the lead by two shots from Moriya Jutanugarn of Thailand. That meant a 14-shot turnaround in fortunes for the No. 3-ranked South Korean. She had been 6 over through just five holes in the rain and wind on Thursday morning before play was abandoned and all scores wiped from the record. A 54-hole event is to be completed Sunday. Park, the US Women’s Open champion, regrouped and had seven birdies and an eagle. ‘‘I forgot about yesterday and just focused on my play today,’’ Park said through a translator, acknowledging she was ‘‘surprised’’ that the LPGA scrapped Thursday’s play. Park played in a stellar group with top-ranked So Yeon Ryu (75), her fellow South Korean, and No. 2 Lexi Thompson (70).